Every actor to don the cape and cowl of the Dark Knight has brought something unique to the role. Adam West brought a playful lightness; Michael Keaton brought a manic energy and gothic darkness, and Clooney…. Well, let’s not talk about Clooney. Ben Affleck will soon become the world’s latest Batman, but we can never forget the man who brought the character back from the campy Joel Schumacher days: Christian Bale. 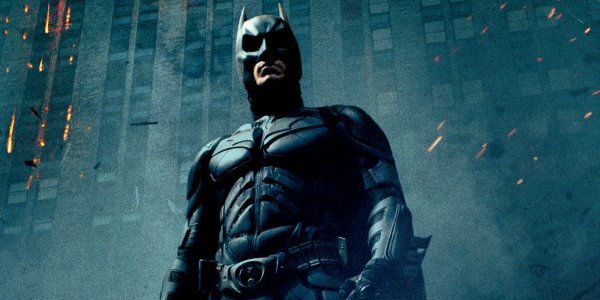 As beloved as his take on Batman became during the last decade, the actor himself feels as though he didn’t do the Dark Knight the justice he deserved. So while he has nothing but praise for Christopher Nolan’s take on the Caped Crusader in the Dark Knight trilogy, Christian Bale continues to feel as though he didn’t live up to the character's potential. The criticisms leveled against his odd vocal choices as Batman probably haven’t done much to help his self-esteem. Seriously, between the physicality and the brooding darkness he brought to the character, he would have become the quintessential Batman had it not been for that god awful asthmatic voice. Obviously this topic is completely subjective, but at the end of the day Christian Bale still did an impeccable job with the character. Perhaps more important than his portrayal of Batman himself, he was one of the first actors to truly recognize the fact that Bruce Wayne is a mask – not just Batman out of the suit. Some of Bale’s best moments in the entire series came when he would don the façade of Bruce Wayne during the daylight hours. He effectively channeled his inner Patrick Bateman and created a persona that realistically threw people off of the possibility that he could actually be Batman, while maintaining a quiet sadness that constantly reminded the audience of the truth. Who is your favorite actor to ever don the mantle of Batman? Is Bale one of the all time greats, or totally overrated? Let us know what you think and be sure to give us your take on Ben Affleck’s iteration of the character when Batman V Superman: Dawn of Justice hits theaters on March 25.